I love food. So much. Free food is even better. So when I find out about Boudin SF's Dine & Donate days at their new Huntington Beach location, I was thrilled! Boudin SF is mostly known for their sourdough bread. They started out as a bakery but eventually added a cafe portion to it, which is what I experienced when I attended the Dine & Donate event during the week of the Boudin SF Huntington Beach opening. When we got there, we were told that we could order anything on the menu except for two items. One of them included salmon which made me sad, but I was okay. We still got to choose a side, an entree, a drink, and a pastry. 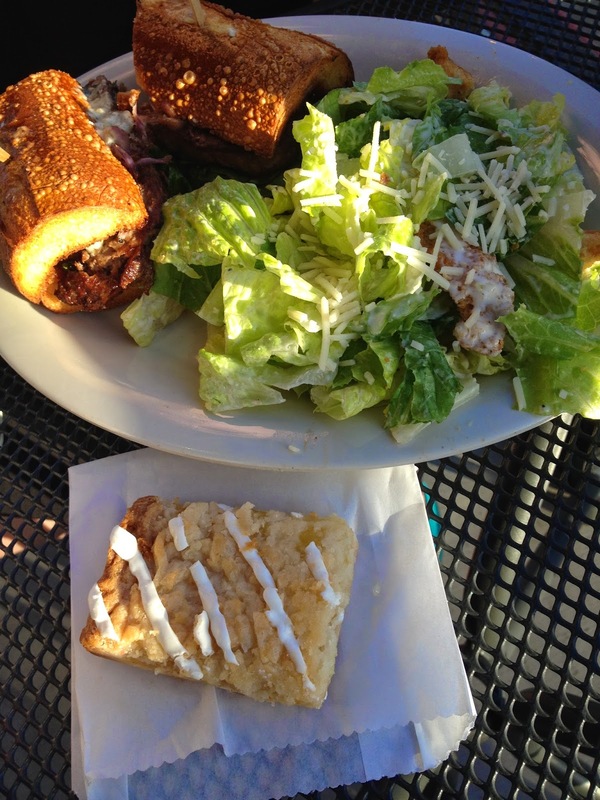 My lovely friend, Sammi, chose a Blue Note Baguette Burger, a side of caesar salad, some kind of soda that I think was Coke, and a lemon bar. I personally don't like bleu cheese so I didn't sample her burger, but she said that she loved it. Everything about her entire meal was great, except the bread of her burger was a little hard. As for myself, I ordered the Roasted Cremini Mushroom & Swiss Baguette Burger with bacon in it. On the side I got some chips, a lemonade, and a chocolate croissant. The entire meal was amazing. The burger's flavors all blended really well together. My only complaint is that the bread was a little tough like Sammi's burger. Other than that, oh my gosh it was great. 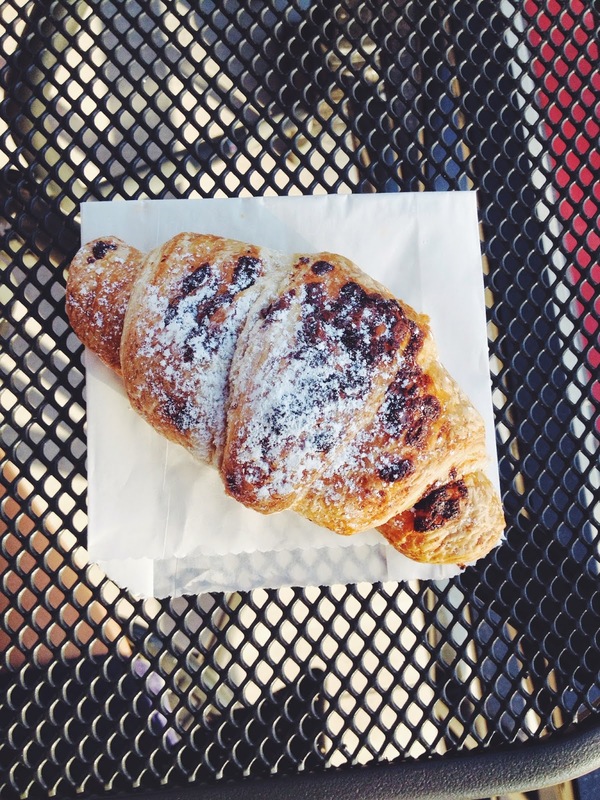 The chips were your average bag of chips, and the croissant was just so soft and I loved taking apart the layers and eating them, savoring the sweet pastry. I love croissants but not always chocolate but this made me crave for it, most definitely. Even the presentation of both mine and Sammi's pastries were great! I didn't get a chance to try out their famous clam chowder, but I know that I will surely be returning to try it someday. If you live anywhere in California, check out and see if Boudin has a location near you! 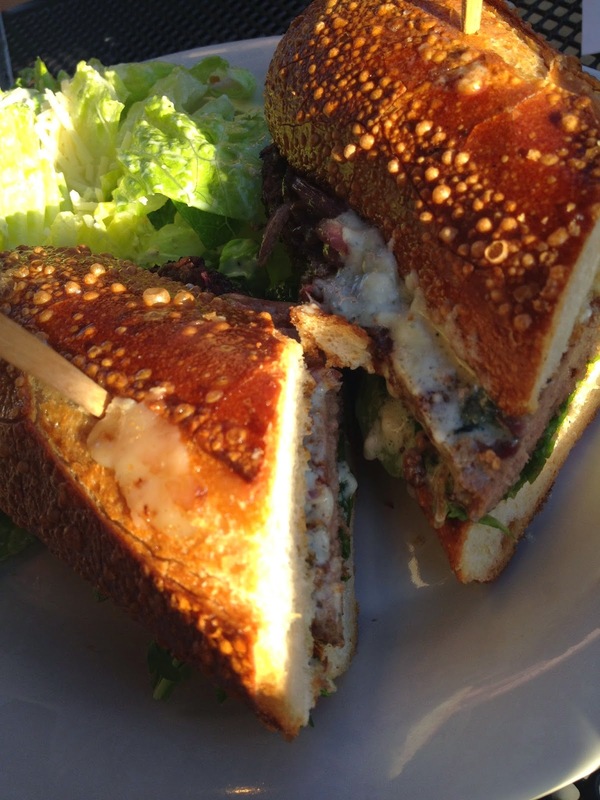 Have you tried Boudin SF before? 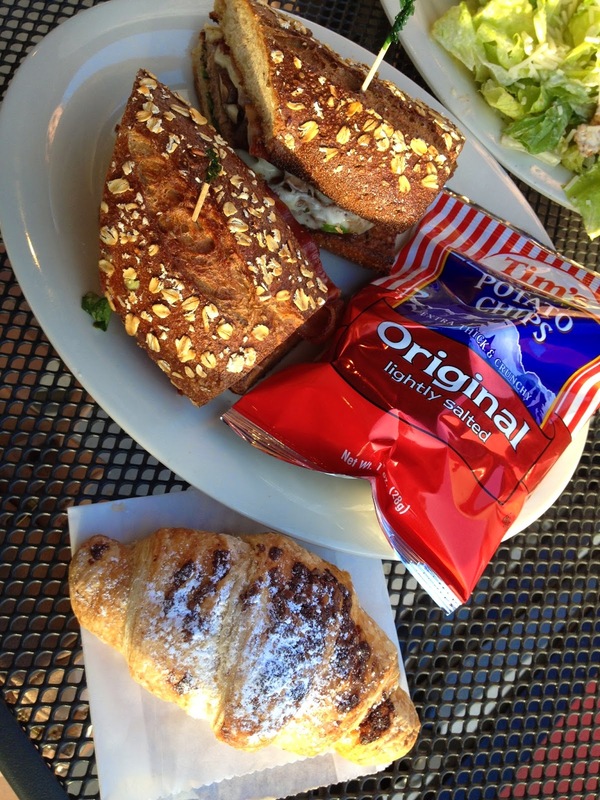 What's your favorite entree or pastry? Disclosure: Boudin provided a meal for review purposes. All opinions are my own. Study Tip: GO TO SLEEP! Chili's At Home is Perfect for College Students!